Experienced punters will have heard of the lucky bets, these are the lucky 15, lucky 31 and lucky 63. You may know of them if you are not an experienced punter, but don’t understand how they work. 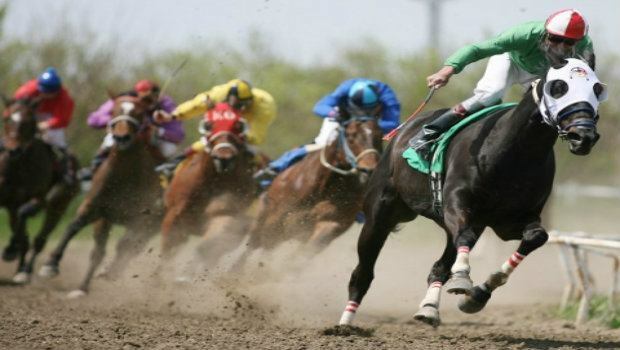 These bets are great to use when you are placing your horse racing bets, so be sure to check them out if you are looking for ways to bet on horse racing. These bets are all very similar in how they work, but they each cover a different number of selections so depending on how many horses you have picked out will determine which bet you use. The one thing all these bets have in common is that they give you complete, full coverage across your selections. This means every bet is covered, from singles upwards so if you place any of these bets and get just one winner, you will be guaranteed a return. Something else they also have in common is that they all have an accumulator on all of your selections, so if you are lucky enough to have a full bet of winners, you will have a winning accumulator that will give you a great return. A lucky 15 covers four selections and as the name suggests there are a total of 15 bets inside this multiple. Those are four singles, six doubles, four trebles and one accumulator on all four selections. A lucky 31 covers five selections and this gives you a total of 31 bets across those selections. There are five singles, ten doubles, ten trebles, five four-folds and one accumulator on all five. The final bet is a lucky 63, and the 63 bets inside of this one will cover six selections. There are six singles in the bet, along with 15 doubles, 20 trebles, 15 four-folds, six five-folds and one accumulator on all six. Depending on how many selections you have chosen will decide which bet you are going to place, however, a lucky 15 is certainly the most common out of these three. This is because it is the smallest and you can play these without reducing your unit stake too much. If you had six selections and wanted to place a lucky 63, that would cost you 63 times your unit stake, meaning you would have to lower that, or the bet would become very expensive. The main advantage these bets have is that they offer full coverage. While this will cost you more, it means that you will no longer be frustrated when you back winners and receive nothing back from your bookmaker. For example, a punter who places a Yankee bet on four selections will get nothing back if they have one winner, by moving to a lucky 15 they will receive something back from their bookmaker. It may only be a small return, but if it is paying for some or all of your bet, or maybe even bringing in a small profit, then it is a good reason to move to lucky 15 bets. Accumulator punters place bets that require every single one of their selections to win if they want to see a return. Sometimes placing multiples is the best way to go and although it will cost you more money to place these, or you will have to lower your unit stake, it means you will get a return back from the bookmakers. For example, a five–horse accumulator with three winners will give you no return, but if you had placed that bet and used a lucky 31, you would have a total of seven winning. One of those winning bets would be a treble on the three winners, which should give you a nice return on the lucky 31 that you wouldn’t have had placing an accumulator. Many horse race meetings will have six or seven races, those with six races are ideal for placing lucky 63 bets. Whether you are watching the action at home or attending the racecourse, lucky 63 bets on six races when there are six races at the meeting will give you complete coverage of the meeting. The more winners you have at the meeting, the bigger your returns will be thanks to the lucky 63 bet you are able to place on these races. With this bet places, you know that you can cheer on every single one of your runners because if just one of them wins you will receive a return. However, should you have a good day and back three, four or maybe five winners then you are going to receive a good payout, making it a very good betting day. Should you manage to land all six then you are in for a great day, and the payout is going to be huge on your bet, giving you a day to remember. One of the things that work in the favour of the punter is that we can choose from many different bet types, and the lucky bets are just three of them. You should always be looking to use a bet type that suits the situation you are in, and if you are looking for horse racing multiple bets then these are certainly one to consider. They have the great advantage of providing full coverage, so even with just one winner out of your selections, you will get a return from the bookmaker. This means you are not picking winners but seeing no return like some bets offer when you place them. The other main advantage is that they all include an accumulator bet, so if you are lucky enough to get a full bet of winners you are going to get a huge return, with the accumulator plus all your doubles, trebles and everything else adding up to give you a big payout.